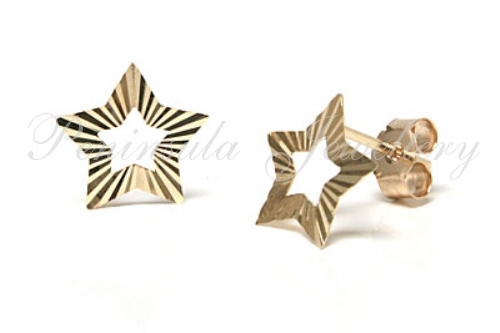 Dainty and lightweight diamond cut Star shaped earrings with open centre in 9ct gold. These have standard 9ct gold posts and backs. Dimensions: 8mm diameter (maximum) Made in England. Presented in a luxury gift box – Great Gift!! 9ct Gold Turquoise Cross pendant with chain.